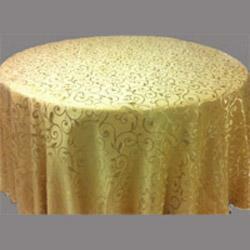 Gold damask rectangular tablecloths. 90 x 156 inches. This will fit to the floor rectangular tables up to 8 feet in length.